In a bid to find the ideal diet plan on the internet, have you been neglecting basic good diet practices, or is your work and lifestyle taking a toll on crucial factors such as timings of your meal and portion size? You may need to pause and rethink. Poor dietary practices can take a severe toll on your overall health and well-being. Ayurveda is an ancient Hindu discipline to lead a healthy lifestyle. 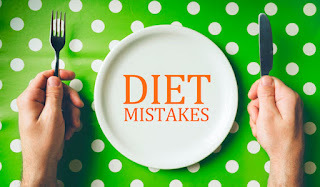 It lays out multiple dietary dos and don'ts that could change your life and enable you to live a healthier life. 1. Incompatible food pairing: Certain food combinations can upset the balance of your doshas which could lead to indigestion, bloating and gas formations. Some foods are warm in nature while some are cold, teaming the two may prove problematic for your system. Some of the most detrimental food combinations are milk-bananas, curd-sour fruits and melons-grains. 2. Overeating: Overeating is also a strict no-no, according to Ayurveda. Overeating leads to problems like indigestion, flatulence and trouble in sleeping. Keep your dinner light. According to Ayurveda, overeating increases toxins (ama) in the digestive tract which is difficult to eliminate. Eat sattvik food as it is light on stomach and does not lead to toxin accumulation. 3. Drinking very chilled water during the meal or after: Drinking chilled water shocks the system. It may hamper the digestion and also the normal functioning of the gastric juices. It upsets the internal temperature and the focus of your system shifts from digestion to regulating the temperature. According to Ayurveda, it is wiser to sip mouthful of warm water during the meals. 4. Standing and Eating: According to Ayurveda expert Dr. Dhanvantri Tyagi, the posture in which you eat plays a crucial part in your digestion. Moreover, when you are sitting you are paying better attention to your food. Distracted eating is again a bad dietary practice, according to Ayurveda. There is also an important concept of sukoon (peace/contentment) in Ayurveda — when you are sitting and eating, you are paying respect to each morsel of the food at peace. 5. Eating too fast: Chew your food well and pay close attention to what is plated. Watching TV, listening to music, or talking while eating is a strict no-no in Ayurveda. Eating food slowly enables better breakdown of fats and enzymes which is crucial for smooth digestion. Poor digestion is linked to a host of problems such as bloating and weight gain. Try keeping these pointers in mind and see the results for yourself.